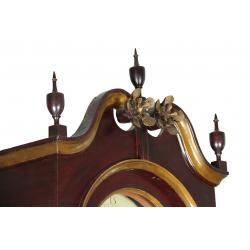 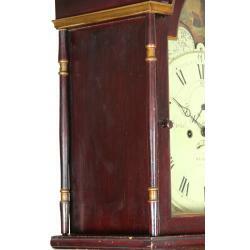 This clock is in its original red paint and retains its original finials and unique rosettes. 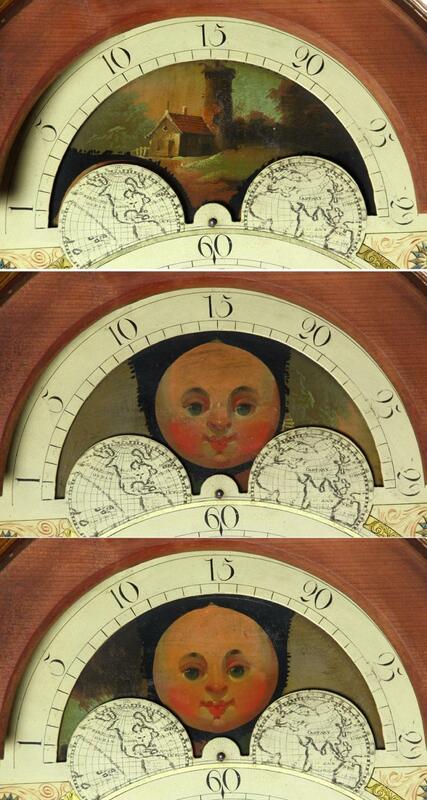 The face is quite beautiful and untouched and the hands beautifully crafted. 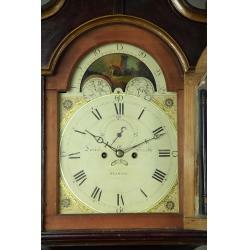 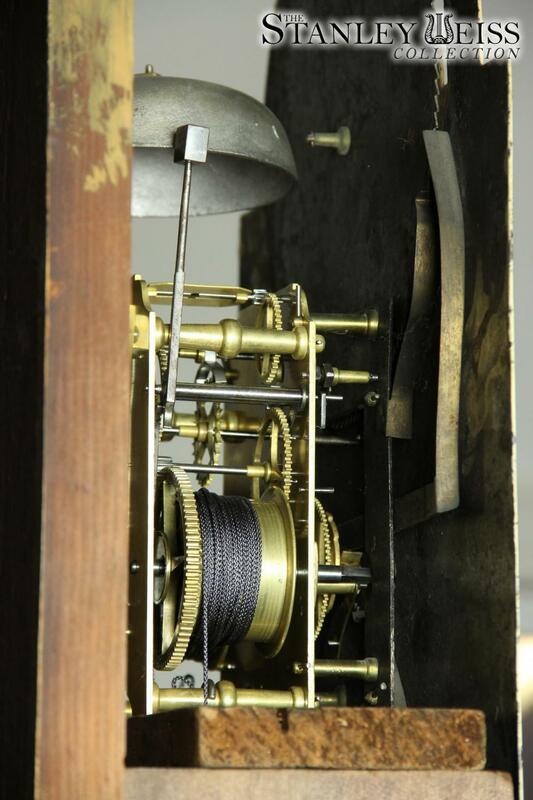 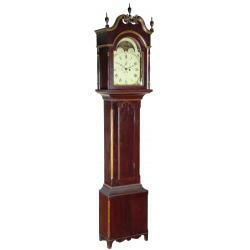 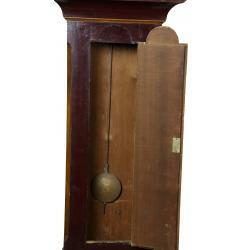 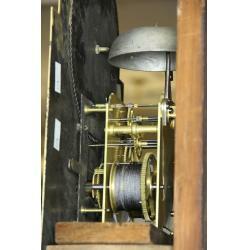 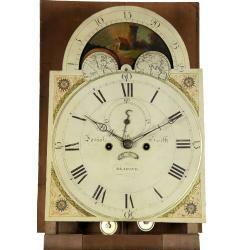 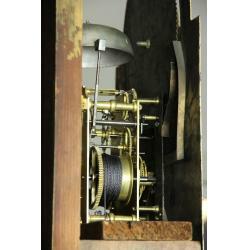 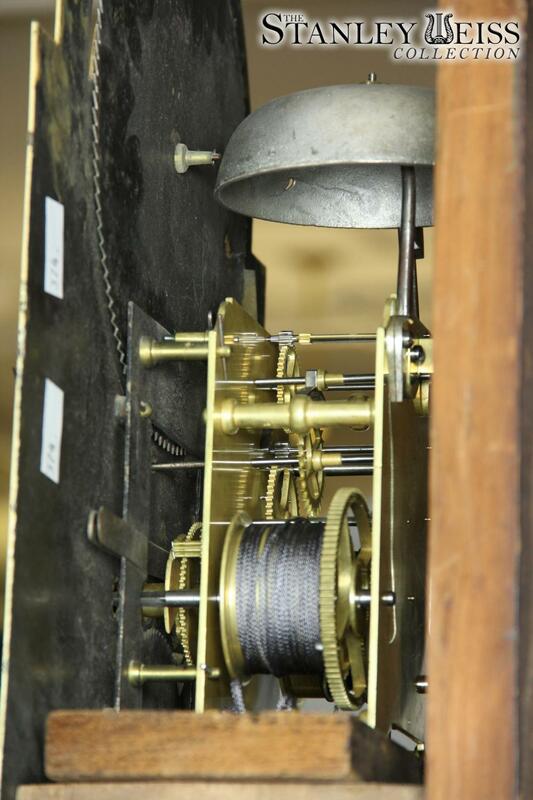 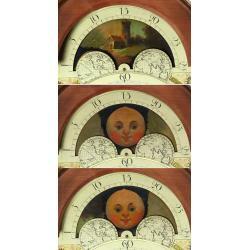 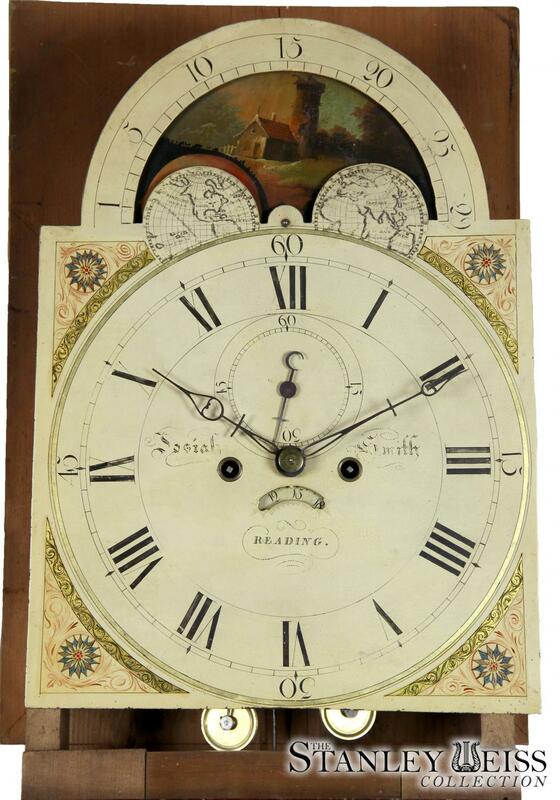 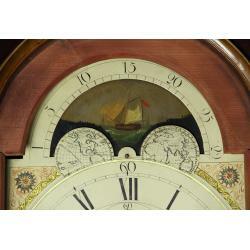 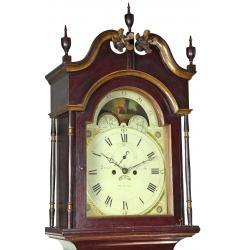 It has a moon dial and is all in fine condition retaining its original feet and all components. 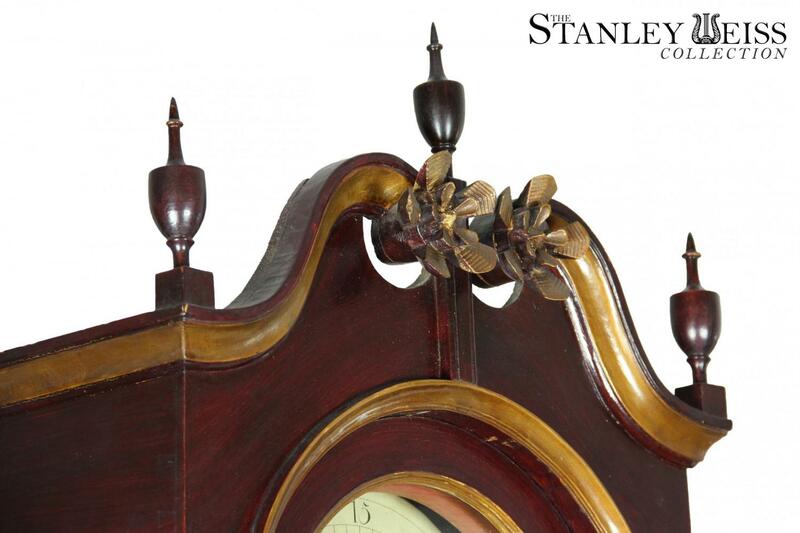 We generally don't handle painted clocks, but when they're pristine as this--with original finials, and signed works--we take notice. 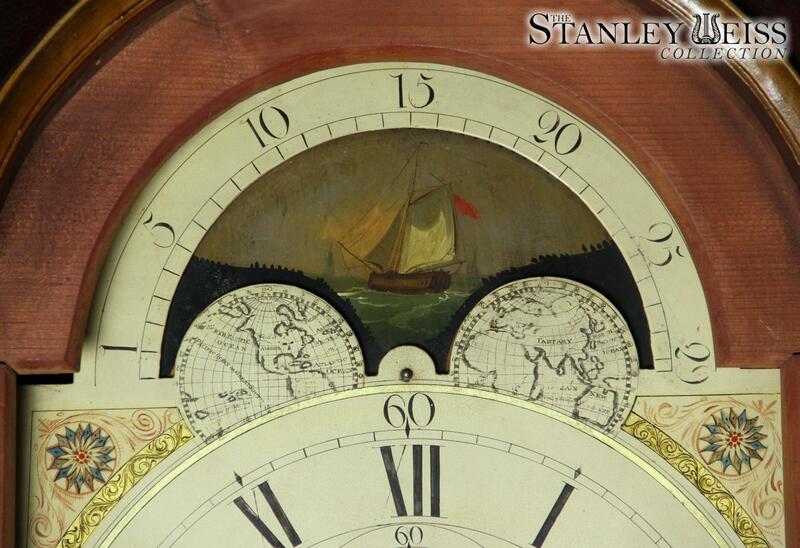 Note the intricate map of the world and painted moon dial with boat, et al.. 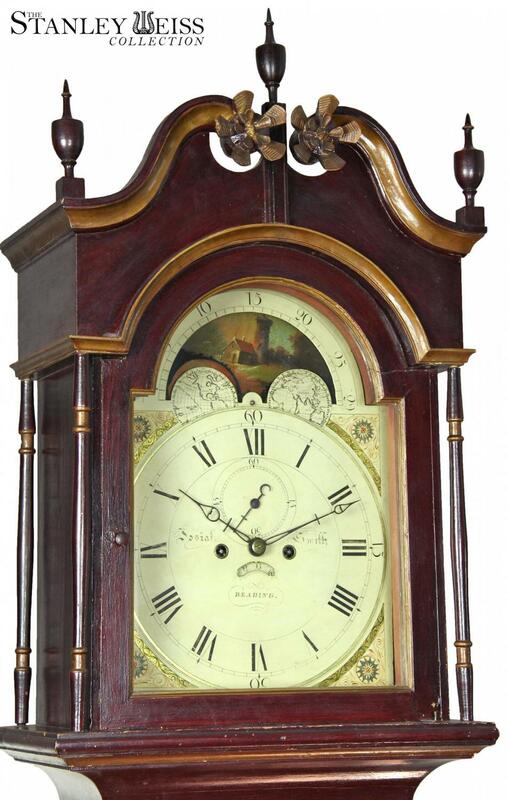 While austere in concept, this clock has all of the embellishments, with a highly-defined tombstone door, chamfered edges, and a high bonnet above the works. 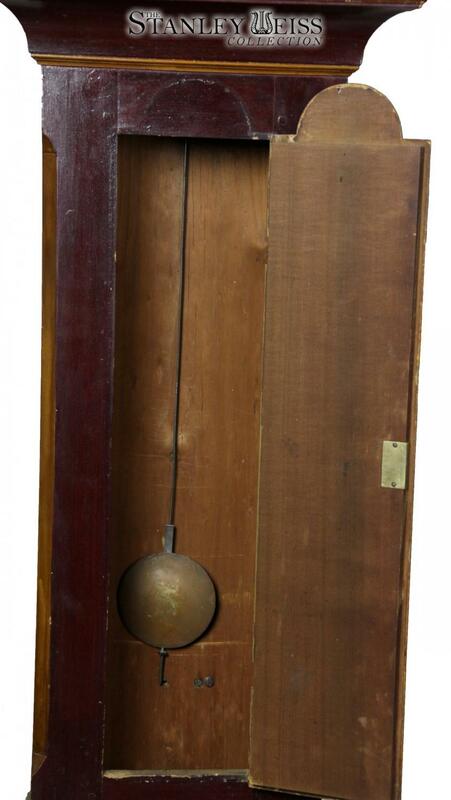 Of its type, it was the top of the line. 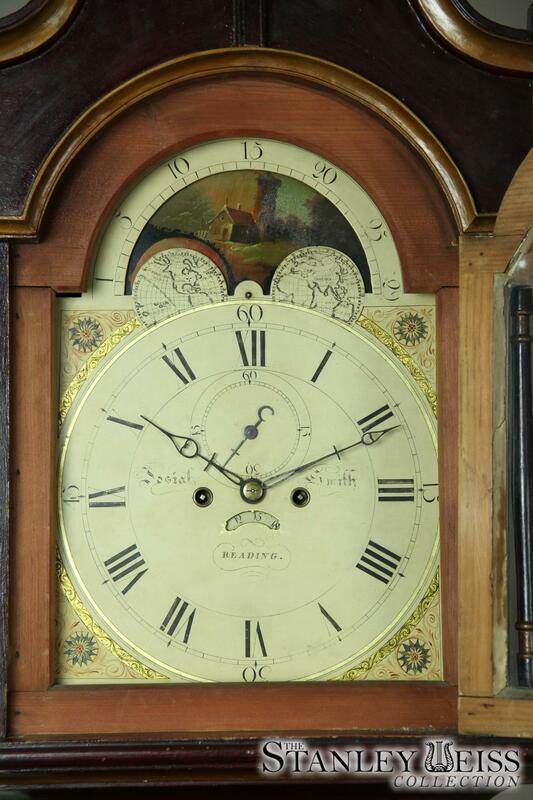 The works have recently been cleaned and put in order by Curt Krump, one of the top early clock specialists in the country. 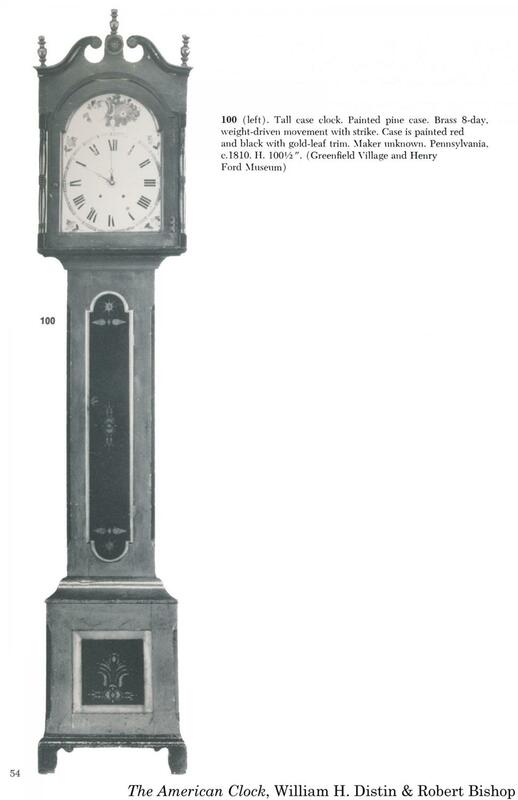 Height: 93 in. 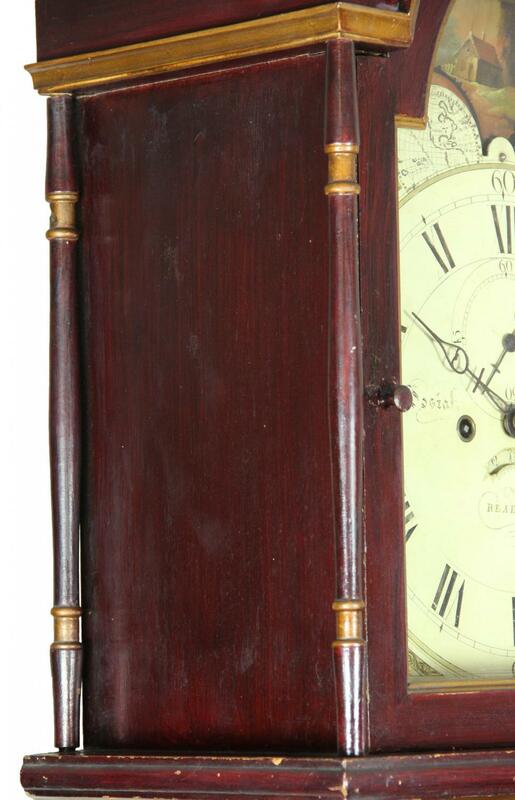 Width: 17 1/2 in. 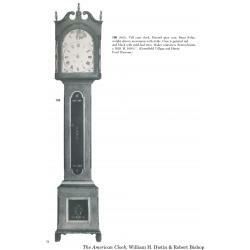 Depth: 9 3/4 in.